From the private, underground parking garage, to the prestigious penthouse at the top of the building, the floors of The Paulsen Center offer unique amenities that make doing business here easy. Professions offered in the building include a bank, attorneys, financial advisors, insurance providers, a dentist, a massage therapist, personal trainers, an eye doctor and state-of-the-art tech companies. Downtown parking is easy at our valet garage or at convenient off-street parking located near the building. Need a quick breakfast, lunch or a satisfying cup of coffee? 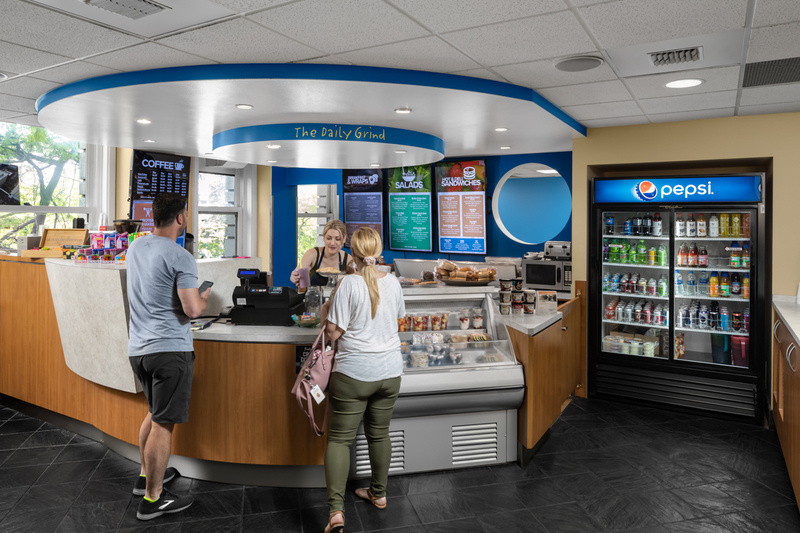 A Skywalk-level coffee and sandwich shop is ready to ease your cravings. A Post Office is conveniently located on the first floor, offering businesses post office boxes, postage and shipping services. The Paulsen Center boasts a gym and fitness center available 24-hours a day. You can get in a workout just steps from your office followed by a quick shower in our secure locker rooms. The Paulsen Center’s conference rooms can be reserved for meetings and include complimentary high-speed Wi-Fi. Our recently upgraded elevator service quickly transports tenants and their clients from office space to parking space. 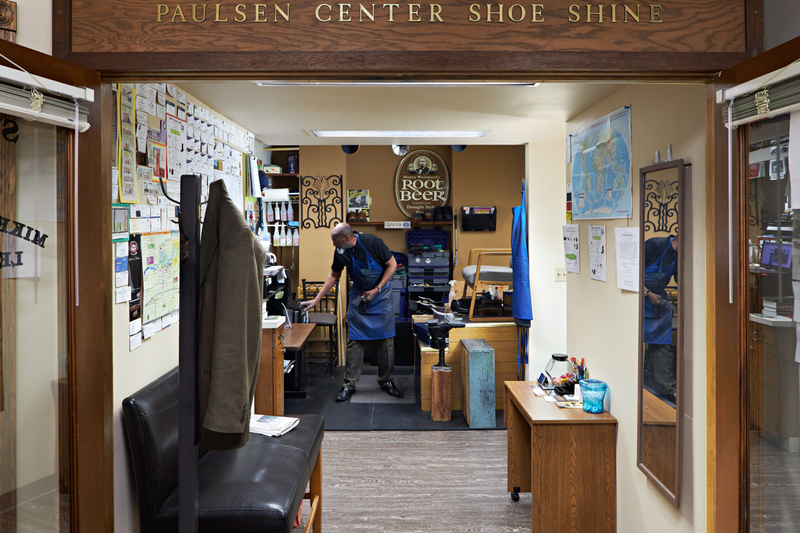 The Paulsen Center is one of Spokane's most classic and historic landmarks. Located on Riverside Avenue between Washington and Stevens Street, the Paulsen Center is situated close to Riverfront park, the Convention Center and is connected to the downtown skywalk network. The Center includes two buildings constructed in the early 1900's. The August Paulsen Center consists of 11 stories and was constructed in 1908 by August Paulsen a native of Denmark. He immigrated to Chicago in 1891 and then out west where he partnered with Levi Hutton to develop the Hercules mine. He then moved to Spokane in 1906 where he began his plans for the August Paulsen office Building. When complete in 1908 it was the tallest and most modern building in Spokane. Mr. Paulsen then outlined plans for another building when he died suddenly on March 12, 1927 of heart failure following a severe asthma attack. In 1928 his family members set his plans into action constructing the 17 story Paulsen Medical and Dental building equipped with a 12 bed hospital complete with operating room attracting doctors and dentists to one building. In the 1970's the tenant base changed to attorneys, accountants, investment bankers, architects and other services. The buildings rich interiors of mahogany, sculptured oak and granite is still evident today. The top floor of this building is a penthouse and was once the home of the Paulsen family for many years. 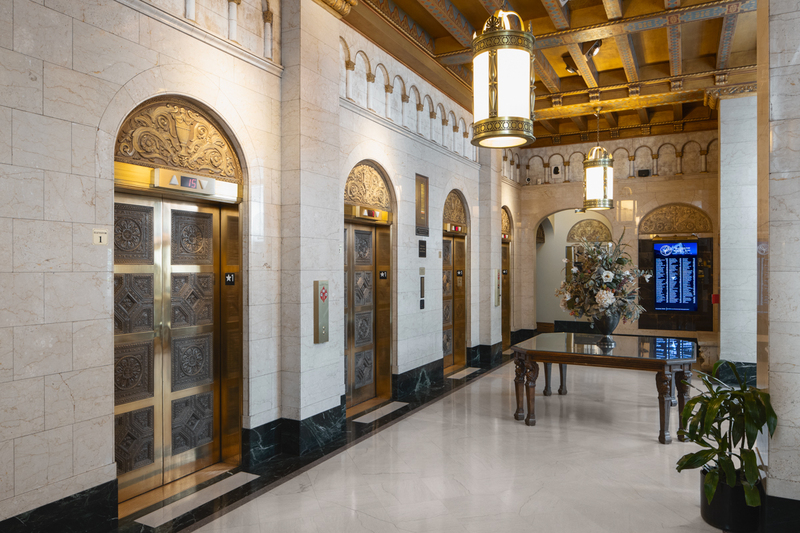 When Ms. Helen Paulsen passed away in 2009, the penthouse received a major facelift and changed to commercial office space but retained the original fixtures and floor plan. The two buildings were finally connected in 1978 when a passageway was created connecting the two lobbies. In addition, an entrance and a hallway were created in the east end of the building on Washington Street. This occurred at the time the skywalk was constructed connecting the buildings to the US Bank Building and the rest of the skywalk system. Today the Paulsen Center continues to be a magnificent landmark in Spokane and is well maintained by its owners. The management staff located in the building caters to the Tenant's in the building offering numerous amenities including an on-site cafe serving breakfast and lunch, executive fitness center with showers, 3 conference rooms, a post office, a common area with free internet and much more.